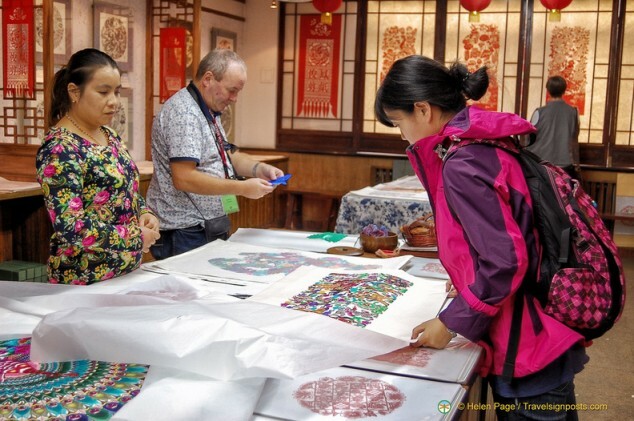 The Chengde Mountain Resort is the main reason for our trip from Beijing to Chengde, however a surprise side-trip for us is a stop at the Junfeng Paper Cutting School to see some of the paper-cuts that Chengde is famous for. For anyone who’s lived in Asia, that includes Tony and I, Chinese paper-cuts are nothing new. However, I must say that the works that the ladies in this paper cutting school produce are exquisite and we find ourselves being totally charmed by them. 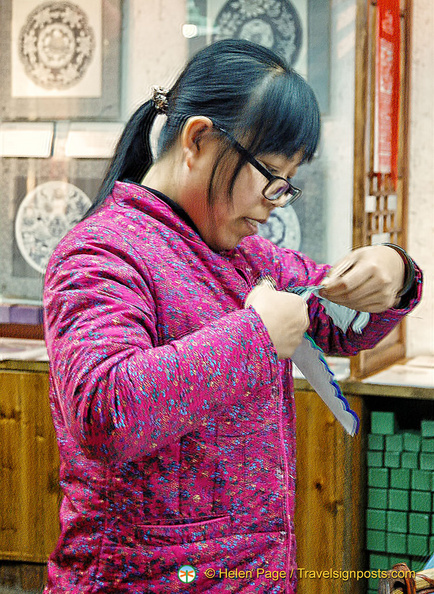 Paper cutting is one of the oldest folk arts in China, dating back to the 3rd century BC during the Western Han Dynasty … yes, even before paper was invented. During those very early days people used leaves, cloth, leather, or any other thin materials, with which to cut out hollow patterns for decorative purposes. When paper was invented, this handicraft took off in popularity as the people found that paper was much easier to cut and store. The paper cuts were used to decorate windows, and entrances decorated with certain paper cuts brought good luck to the businesses or households. Just as needlework was an important skill that young ladies had to develop in the past, paper cutting also became an essential skill that young girls had to acquire. Like a painter who would capture a scenery or object that inspired them, these girls expressed their thoughts and inspiration through their paper-cuts. 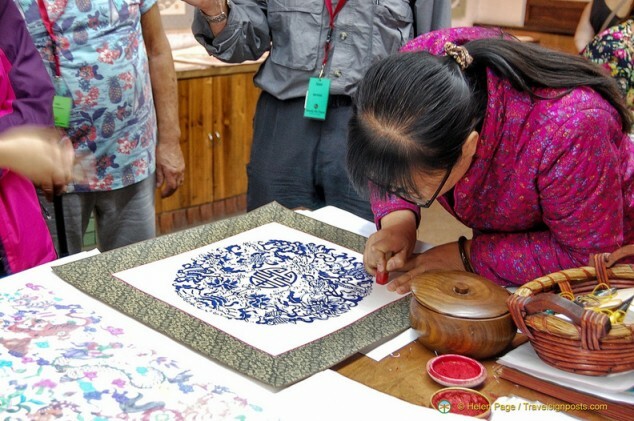 With their scissors or knife, they would carve out patterns depicting everyday images such as the beautiful scenery, an auspicious elephant, a beautiful carpet of flowers, fish, birds, grass, trees or pavilions and bridges. Initially, the girls would cut out images that had been sketched, but as they became more skillful, they would cut out patterns freehand, without any guidance or the aid of any other implements. There are various styles of paper-cuts and for simplicity, these can be geographically divided into the southern and northern style. 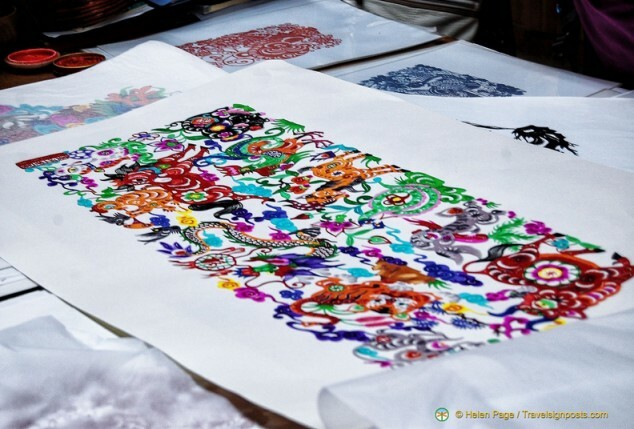 Fengning County in the north was named as the hometown of the Chinese art of paper-cuts by the Chinese Ministry of Culture and in Chengde they follow the Fengning paper-cut style. In fact the Chinese paper cuts are listed as one of China’s cultural heritage by UNESCO. Some of the women from this school have also been conferred the title of “Artist of Folk Arts and Crafts” by UNESCO. 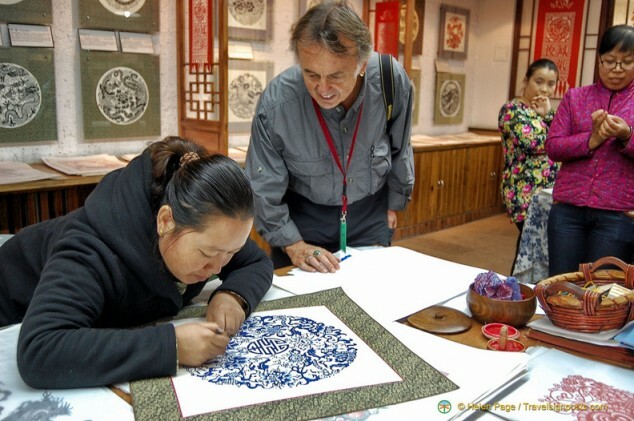 Apart from showing us the ancient Chinese art of paper cutting, the visit to the Junfeng Paper Cutting School is one of those shopping stops that’s weaved into our China tour itinerary. In addition to the intricate pieces of paper-cuts covering the walls of the showroom, more paper-cuts are laid on the table for us to admire and to be tempted by. There are several pieces that I particularly like, including the blue and gold paper-cut of Guanyin, the Empress of Mercy, but in the end we settle for the Ashtamangala, the eight auspicious symbols of Buddhism. After choosing the background that we want, one of the ladies expertly mounts the paper-cut onto the backing with glue. This itself is a great skill and Tony watches anxiously as she straightens out little bits here and there without damaging the paper-cut. Once mounted, the creator of the paper-cut places her seal on her work. There is no hard-selling required and we all end up buying something from this place. Before leaving the showroom, we are given a lesson in paper cutting. We are shown how to cut the double happiness character and in the time that we take to do our clumsy cut of the character, our teacher manages to cut out blue and green butterflies. 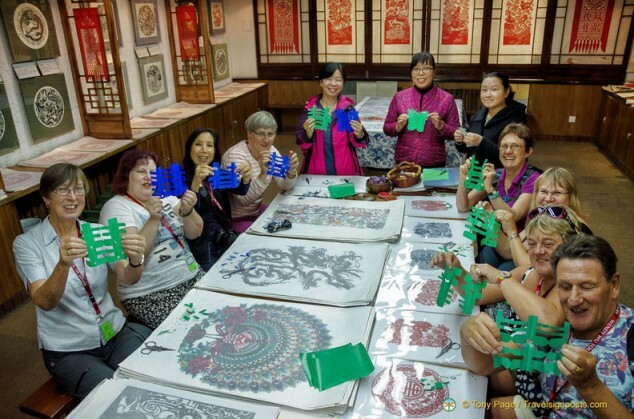 The visit to the Junfeng Paper Cutting School is enjoyable and we get to see some exquisite paper-cuts and meet the ladies who create them. Given the work involved, the paper-cuts are not expensive and there are also smaller works that you can buy as gifts. Our Ashtamangala is a joy to look at and is a great souvenir of our visit to Chengde and one of China’s oldest folk art. 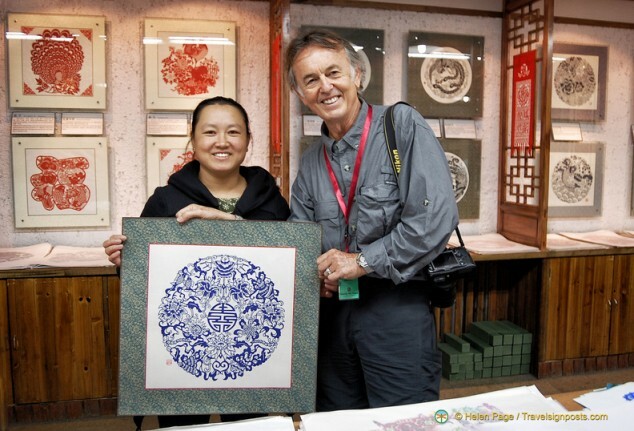 You can see more photos of our Chengde paper cutting visit Here. 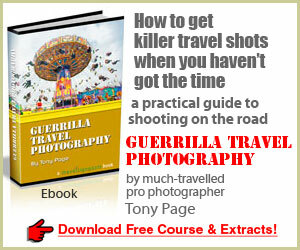 Glad you enjoyed it Nancy and thanks for your feedback.